As home prices and rents continue to rise, confidence in the housing market is starting to wane. It is showing up in weaker traffic at open houses and less interest in taking on a mortgage as some worry about their student debt loads. The numbers are dropping, and a new survey from the National Association of Realtors only adds fodder to the current market’s failings. 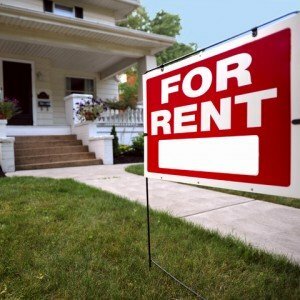 While three-quarters of Americans surveyed in the second quarter of this year still think now is a good time to buy a home, the numbers are slipping, especially among renters. Just 62 percent of renters said now is the time to move to homeownership, down from 68 percent at the end of last year. Those under the age of 35 were the least confident. Millennials today have the lowest homeownership rate of their age group in recorded history. On the flip side, nearly 4 out of 5 people who currently own a home, as well as respondents over the age of 55, said now is a good time to buy. That is likely because homeowners have seen their equity increase dramatically in just the past year, as prices rise. In fact, home equity jumped by a collective $260 billion in just the first quarter of this year, according to Black Knight Financial Services. Those with student debt, according to the Realtors’ report, are far less likely to want to take on a home loan. Half of respondents with student debt and under the age of 35 said that not only did they not want a mortgage, they doubted they would qualify. Jorge Alborta, 32, rented in northern Virginia for seven years before finally buying a home this spring. He and his sister own a restaurant, and his income is below $100,000 annually. He did not have student loan debt, and that played a role in helping him become a homeowner. Still, it was a long and arduous process. “It was a little bit too pricey, all I could afford was an efficiency, one-bedroom apartment, so I started looking in different places, also in D.C. and it was a very long process, and it took a long time,” said Alborta. He also found the mortgage process long and tedious. Alborta wouldn’t have been able to afford to buy, but for a low-income housing program in D.C. that helped with closing costs and allowed him to qualify for a lower price in the townhouse community where he purchased. Still, saving for the down payment was arduous — “Yes, it was very hard,” he said. First-time homebuyers are still at a historically low share, less than one-third of buyers in June, compared to the historical norm of about 40 percent. The supply of homes for sale on the lower end of the housing market continues to fall; homebuilders are concentrating largely on the move-up buyer, due to higher costs of construction. This is only pushing prices higher for first-time buyers, and sidelining them longer. Higher prices, however, may finally be getting potential sellers to take the plunge. More current homeowners, 61 percent, responding to the Realtors’ survey said now is a good time to sell, compared to 56 percent who felt that way in the first quarter of this year.